If the waves of the ocean ebbed and flowed through a prism, what would it look like? 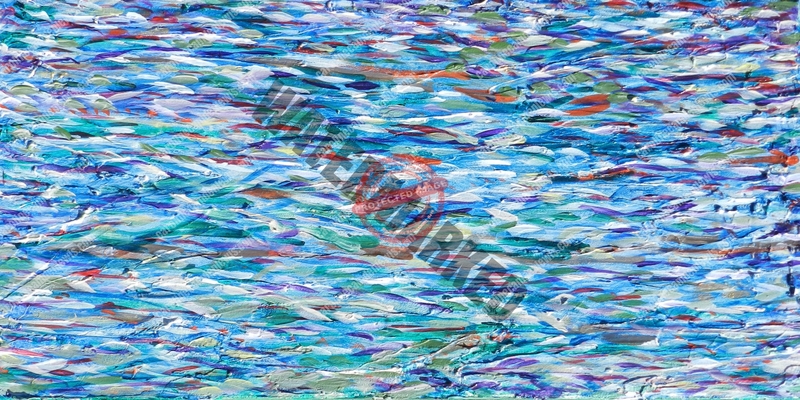 This piece incorporates a myriad of colors to reflect the prism-like quality of water. It reminds us that like the ocean, many circumstances in life are multifaceted–and often complicated. But, what if we viewed them as a prism and embraced the multi-dimensional aspects of our journey as a gift to be received and a story being written?